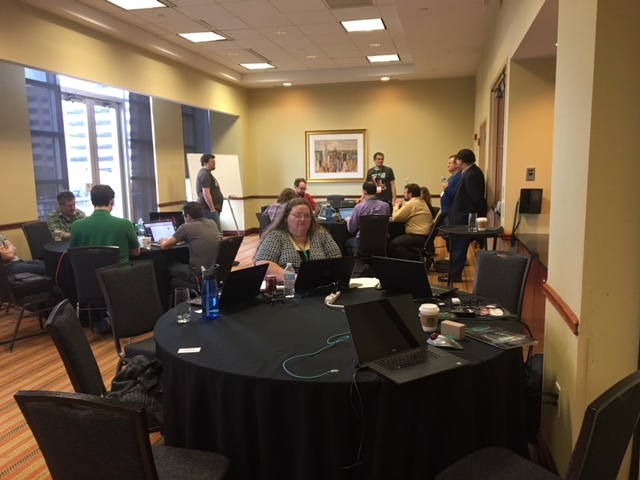 These serious folks are participating in an Evergreen Hackfest at the Evergreen International Conference that took place on April 4-8 in Covington, KY. 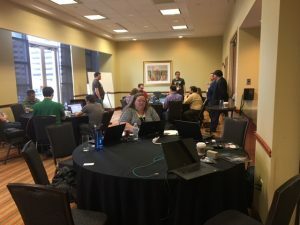 The Hackfest was sponsored by PaILS. Squash them bugs!